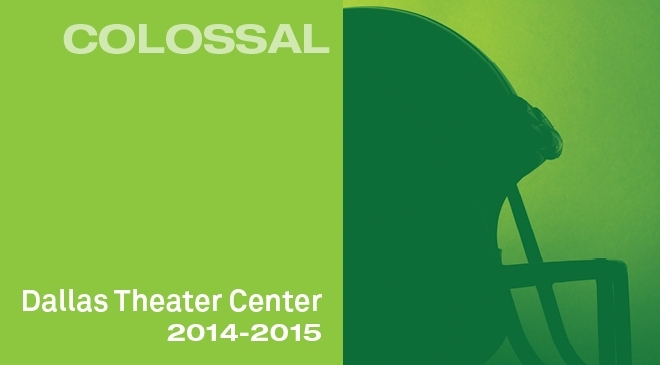 Winner of the Kennedy Center’s Jean Kennedy Smith Play writing Award, Colossal is an epic theatrical event. With the flexible Wyly Theatre transformed into a football field, director Kevin Moriarty will create an intensely physical production of this spectacular and deeply moving new play. Featuring full contact choreography and a drumline, the play centers on a gay University of Texas football player, struggling to move forward in the wake of a catastrophic spinal injury. A play about love, ability, and extraordinary feats of strength, Colossal is both a celebration and critical examination of our nation’s most popular form of theater. COLOSSAL was first produced in a rolling world premiere by Olney Theatre Center (Maryland), Mixed Blood Theatre (Minneapolis), Dallas Theater Center (Texas) and Southern Rep (Louisiana) as part of the National New Play Network’s Continued Life program. For this production the Wyly Theatre will be transformed into a football field, creating a once-in-a-lifetime experience for our patrons. Seating will be General Admission. Patrons will be seated according to the area number located in the middle of their ticket. Area 1 will be seated first and we will continue through Area 4. You are welcome to arrive earlier and wait in your Area’s line to help ensure the best seat possible. The production runs 90 minutes with no intermission. There will be no late seating, and if you leave the theater space for any reason during the show you will not be readmitted. Food and drink will be permitted in the performance.